Here's my advice: join a CSA. Not only will you get vegetables, but all those middleman interactions that separate you from your farmer are wiped away. Through newsletters and emails, you'll understand more than what's in your share box — you'll get an appreciation of how farming really works. And that's just as valuable as rainbow chard and garlic. You can still love your local co-op and spend every weekend at the farmers market, but you'll add an additional, very awesome layer to your local food connection with a CSA. But what exactly does the whole thing entail? Glad you asked. 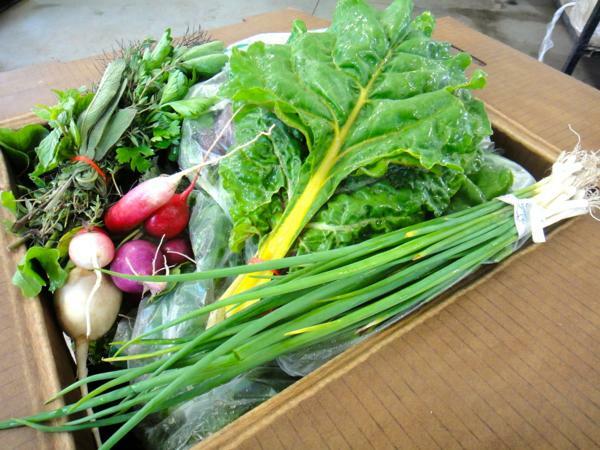 At its most fundamental level, a CSA is a "share" in a farming season. You pay upfront, usually before May and ideally by early April, for a portion of a farmer's vegetables for the season ahead. Strong advice from my farmer self: sign up now, or in February, because the sooner a farm can sell out of its shares, the sooner they can focus more attention on the season ahead instead of marketing. The price is set by the farm; at Bossy Acres, our CSA is $600 for a full share (delivered every week) and $350 for a mini share (delivered every other week). This is a fairly typical price, and it might give some people sticker shock to think of paying that much upfront (more on that in a minute), but because the season is around 18 to 20 weeks, from June to October, it ends up being about $34 per week for almost a bushel box of vegetables. On delivery day, you get a box of vegetables based on whatever's ready to harvest at that time. And by "ready at that time," I mean ready the day before or that very day: some farms harvest in the morning and deliver in the afternoon. Most harvest the day before, helpful for removing the "field heat" from vegetables, which makes them last longer in your fridge. For some farms, you can pick up right at the farm, or may be given the option of getting your share from a dropsite, which are sometimes at people's homes but often are located at co-ops, churches, business offices, farmers markets, and other locations. Mostly, they're not supervised, so you'll just see a few columns of brown or white boxes and you can claim one of them. Or your farm might have a market pickup, so you can stop by their booth at a specific farmers market and grab your share then. You have a window of time for pickup, usually in the late afternoon to early evening. If you have a dropsite, you simply zip over there on delivery day, check your name off a list, pick up your box, and head home to figure out what to do with your new abundance of vegetables. 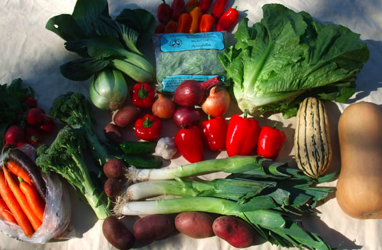 Some farms have been offering a "market style" CSA, where you bring your own bags (reusable, of course!) and you "shop" your way through several options of vegetables. The variety of setups — market style, pickup options, share sizes — all work to give you more choices for what works best for you. Do a little research, compare what different farms have to offer in terms of drop site proximity to your work or home or share volume, and go with what you think is most convenient and fits your eating style. CSAs are not all alike in how they operate, so doing your homework is important for making sure your expectations are in line with what the farm will be delivering. CSA memberships come with a nice amount of interaction with the farmer. With every delivery, you'll get a newsletter about what's in the box, and also updates on the farm with photos and little stories. Most CSA farms hold member events at the farm at least once a season, where you'll get to go and see the fields, and maybe pick some vegetables yourself. One important note is that the amount and diversity of vegetables is going to vary quite a bit throughout the season. At the start, you might get about five to seven pounds of vegetables, and it's likely to lean toward salad greens and a couple other early season favorites like radishes. 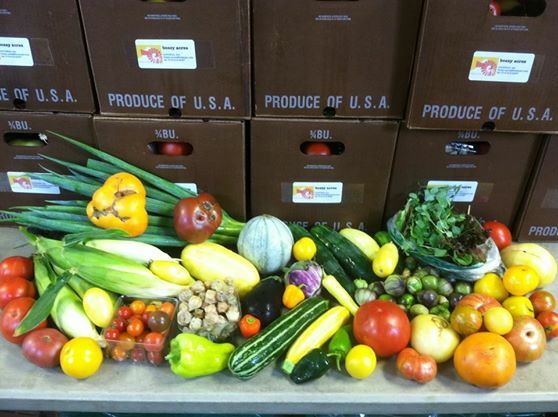 By August and September, that box could be 30 pounds with 15 different types of vegetables. 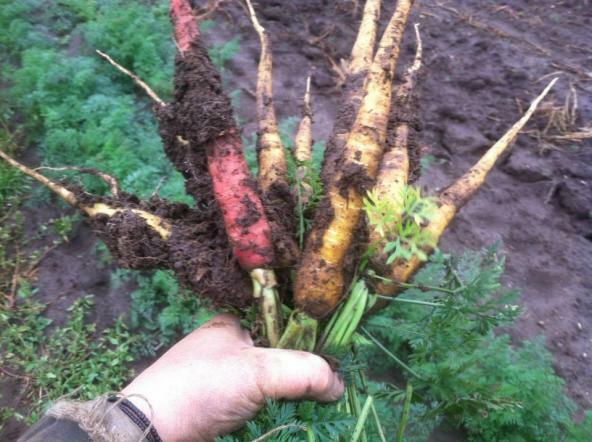 The season tapers off in late September and early October, when a box is comprised mainly of root crops like turnips, beets, and carrots, although there's often some hearty kale that sticks around too. Sometimes, I get asked, "Why do a CSA when I can just go to the farmers market or co-op and buy local vegetables there?" Those are both great ways to support local farmers, but I love answering this question because it gives me an opportunity to talk about why CSAs aren't just a convenient arrangement for the consumer – they can be vital for the farmer and the farm's existence. In the spring, farmers face a huge array of costs, including seeds, new equipment, irrigation supplies (especially this year if we don't get more snow), greenhouse gear, truck repairs, and on and on. The CSA financial model allows us to get the money we need at the start of the season, rather than having to take out a loan and hope that we make enough to pay it back before October. That means that being a member of a CSA isn't necessarily all sunshine and rainbows (and beets). If something terrible happens at the farm, like flood or tornado, and the crop gets wiped out, shareholders lose their investment. There are no refunds, because the money you handed over in the spring is largely already spent. This is not a subscription service, where your payment means automatic fulfillment. It's an investment, where you get the rewards but you also share the risks. That's crucial to know, and it means a huge amount to your farmers, because in the event to disaster, they won't get crushed beneath the financial weight of crop loss. You might hear the term "crop insurance" thrown around in the news occasionally, but here's a sad truth: that type of insurance is only for farms of a certain size, usually the enormous, corporate-owned type. Your small, family-run farm will be awarded crop insurance on the same day that the pigs they raise grow wings and fly to the butcher on their own. Farming can be an amazing, wondrous life that's filled with soul-quenching moments. To sit back on your heels and look at a row of kohlrabi or potatoes, knowing that those vegetables will go to local tables, creates a feeling of being nourished by more than food. At the same time, the amount of effort and expense it takes to get to that moment can be astounding. If you're not careful, it can break you, in every possible way. With a CSA, we know that we're not alone. Our members will support us for those early season purchases, but in other ways as well. They'll cheer us on, remind us why we're doing this, hold us together when we're ready to crumble. And believe me, after a 15-hour day of weeding thistles in July heat, we need that support as much as we need water. If all this sounds like a promotional ad for CSAs, then I've done my job. The more that eaters and growers connect, the stronger and more transparent our food system will become. So, consider the option. 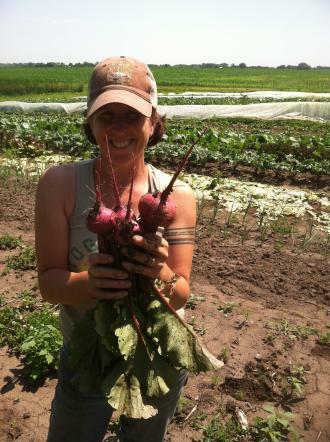 For a list of CSA farms, the Land Stewardship Project has a great list here. Or there are often CSA fairs at your local co-op. 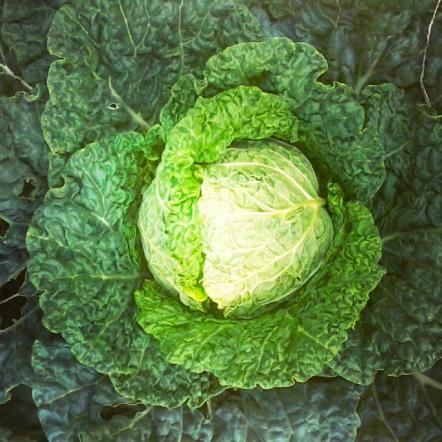 Have a CSA farm that you already love? Let us know about it in the comments. Remember, folks, we're all in this glorious food adventure together - let's build a community that makes a difference.